Thank you for your continued support of D’espairsRay. Due to Hizumi’s throat troubles, we had decided to take a hiatus immediately following our show at Yokohama Blitz on 30 Dec. 2010. However, after further discussions amongst the four members, we have decided to disband as of 15 June 2011 and cease all activities under the name D’espairsRay. To our loving fans and supportive staff members, who have followed us diligently from our founding on 9 Sept. 1999 until now, we deeply apologize for such a sudden and troubling announcement. All four members are deeply thankful, from the bottom of our hearts, for your enthusiastic support and encouragement. Founded in 1999, D�ESPAIRSRAY can be counted among the japanese rock-elite, helping to establish a genre new to the western world: Visual-kei! Focusing a blend of rock, metal and industrial sounds, D�ESPAIRSRAY has shown that their musical repertoire embraces a wide range of different influences. 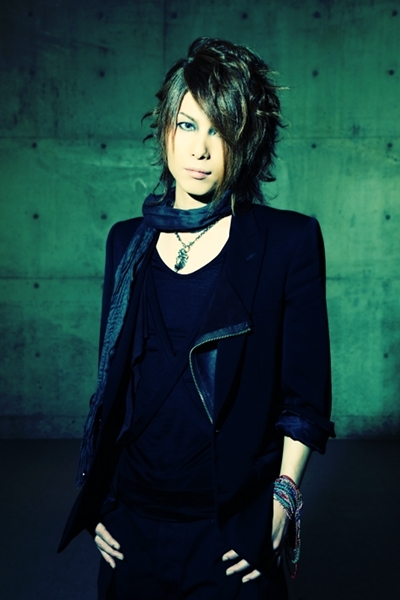 With a horde of sub-standard copycat bands forming and attempting to replicate their strong image, D�ESPAIRSRAY�s changed their look from typical Visual-kei styles including dark clothing and a lot of make-up to a more native styling, with the intention of turning their audience�s focus on their music. After their foundation, D�ESPAIRSRAY enjoyed a metoric rise to success. Their first EP sold out rapidly and playing together with artists like MUCC, Miyavi and The Gazette provided D�ESPAIRSRAY a lot of attention among japanese audiences! In 2004 D�ESPAIRSRAY paid Europe a visit, playing their first two shows outside asia! This trip became the cornerstone for D�ESPAIRSRAY�s international sucess: The release of Coll:Set became the international breakthrough in 2005, followed by many concerts in europe an america. In 2006, Gan-Shin released Coll:Set in Europe to an audience who lapped up D�ESPAIRSRAY�s unique look and unfimiliar sound. The story of sucess continues, with the release of �Mirror� and �Redeemer�. 2010 will become another milestone in the career of D�ESPAIRSRAY: The release of their �Best-Of� album will be followed by a European tour. And like they did before, they will again take Europe by storm! 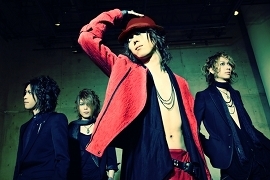 D�ESPAIRSRAY are: Hizumi, Tsukasa, Karyu and Zero.